As well as many universal options, most of the big brands like Vanguard, Vortex, Swarovski, Nikon, Zeiss and Steiner have a selection of accessories for your binoculars designed to improve performance or enhance the enjoyment of your optics. In this section I will go through some of the different binocular accessories available, explaining what they do and if they are worth getting as well as more specifically reviewing and testing individual products that will hopefully make your decisions easier. By using a binocular tripod mount or adapter you can very easily attach you binoculars to a tripod, window or hide clamp. This can be very useful if you use high power binoculars, have unsteady hands or if you just want to set up your binoculars in a location and keep them there for quick access. Most binoculars that can accept an adapter uses a standard screw thread, but there are a few exceptions. There are also adapters that you can use for binoculars that don't accept a screw thread. >> Binocular Tripod Adapter. 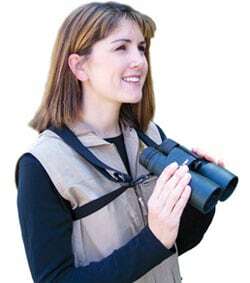 The humble neck or shoulder strap is one of those binocular accessories that often goes unnoticed, that is unless you either have an excellent one, or like many that come with mid and lower end optics, a poor one. 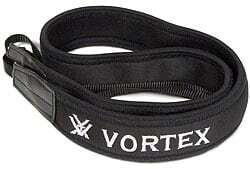 Luckily for us this is one accessory that can be upgraded relatively cheaply. In this guide I go through what exactly makes a great neck strap, some of the best ones that I have encountered through the years and where you can get one to #PimpYourBinoculars for improved comfort and usability: >> Binocular Neck & Shoulder Strap Guide. If like me, when you see something fantastic through your binoculars, you immediately want to be able to capture it to look at again later or share with friends. Digital Camera Binoculars have been around for a while, but because of the technical difficulties have never produced what I would call acceptable results. SnapZoom Universal Digiscoping Adapter - Unlike many universal adapters that are primarily designed for the use with a spotting scope, the SnapZoom and it's twin jaws is developed to work perfectly with your binoculars for digibinning, but then with it's ingenious counter balance arm, also switches seamlessly to a digiscoping adapter that works with spottingscopes, telescopes and even microscopes. 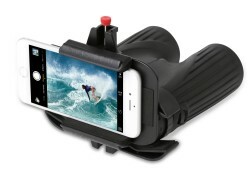 Snypex X-Wing Universal Smartphone Adapter - For use with both spotting scopes and binoculars, this tough and very robust adapter from Snypex Optics will securely accommodate almost any smartphone on the market. One of the very best that I have used. Carson Universal Optics Adapter - Read my full review of this highly versatile adapter that allows you to use almost any smartphone on the market to take photos through almost any optical instrument including binoculars, telescopes, spotting scopes, night vision devices and even microscopes! No matter how careful you are or how good the coatings are on your lenses, they will eventually get dirty and or have smears and smudges that will impair your view. Most quality brands supply you a special micro-fibre cloth with your binoculars, but for the best results and to protect your investment, you should use a special lens cleaning kit. The best have pre-moistened, non-abrasive microfiber optical cleaning cloths, specially formulated lens-cleaning fluid to get lenses sparkling clean without harming delicate surfaces and coatings, flexible lens brush with bellows and absorbent cleaning tissues. 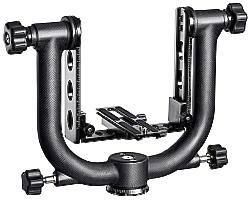 MOVO GH1000 Gimbal Tripod Head Review - Especially when it comes equipment like heavy, large spotting scopes, it is hard to beat the freedom you get from the weightless setup of a good Gimbal head. However as you can read in this review of the high end Movo Gimbal head, for use in a static location, I also really enjoy using it with high powered binoculars. Vanguard ABEO Pro 283CGH Tripod Kit - This kit includes the Vanguard Abeo Pro 283CT tripod and the excellent Vanguard GH-300T Pistol Grip ball head and is not only ideal for traditional photography, but digiscoping, quickly and accurately aiming your spotting scope and for comfortably positioning and directing your astronomy binoculars towards the heavens. Vanguard Alta Pro 263AT Tripod - Brilliant general use and ideal tripod to use with binoculars for astronomy or plane spotting binoculars. 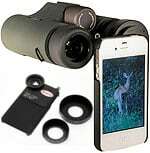 There are often times when you want or need to take more than just your binoculars with you out in the field. 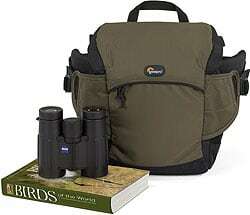 In this section, I take a look at some of the best purpose made binocular and bird watching bags as well as camera backpacks and bags that work very well with your binoculars and other equipment that are most commonly used. 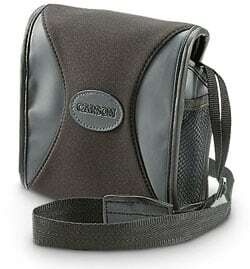 Carson BinoArmor Binocular Case - This simple but very clever binocular case is designed to protect your binoculars indoors and out in the field, because unlike traditional Binocular Cases, the Carson BinoArmor Binocular Case wraps around your optics and allows for extremely quick and easy binocular access, is virtually impervious to the elements, eliminates the need for lens caps and rain guards and works with standard neck straps or a binocular harness. 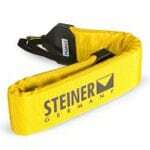 Lowepro Field Station Belt Pack - Designed for birders in particular but ideal for any wildlife enthusiast or researcher. This compact bag will not only enable you to carry your binoculars, but it comes with a "shelf" than makes reading from and writing in your bird book, field guide, sketchbook or notebook really simple when out in the field. It can also be used to carry and use your iPad or other tablet type computer. These EyeShields from Field Optics Research are a cheap and simple accessory that attaches to the eyecups of your existing binoculars (or scope) and blocks out all ambient light to improve their performance. A hide clamp is very similar to a window clamp, except as the name suggests they they have been specifically designed for the use in hides. The main differences are that their height is usually adjustable and the clamping mechanism is designed to be attached to horizontal surfaces like table tops. As their name suggests, a hide mount is an ideal accessory when using binoculars, spotting or fieldscopes in hides, or at bird or wildlife parks and sanctuaries for example. It is also just as useful for mounting digital SLR cameras (particularly with telephoto lenses) or high magnification binoculars whist in a hide. >> Hide Mounts (coming soon). Incredibly there are some people who don't want to read everything on their computer screen and prefer a book instead! 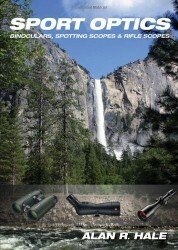 I'm kidding of course and there are some really great printed as well as digital publications out there on sport optics and binoculars in particular in a whole range of categories from astronomy and stargazing to birdwatching and hunting to what are the best binoculars to observe butterflies with.